My dad watches a movie trailer and gives his first impression. Hmmm, I must have my seasons mixed up. 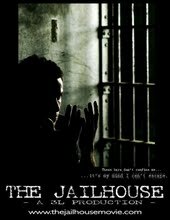 ‘Cause I thought that low budget horror flicks like The Jailhouse only came out in mid-August. The type of movies that specifically cater to mid-adolescents caught between the summer doldrums and the depressing prospect of returning to middle school in September. Set in a typical mid-American town, a deputy sheriff, played by the usually edgy C. Thomas Howell, need a place for his family to live while their house is being renovated. And where better to take up temporary digs than in the old, and no longer used, jailhouse? The abandoned building, it seems, had served a dual purpose some eighty years ago; housing the Sheriff on the first floor and a jail on the second. So, and while the family settles in on the main level, the unoccupied second floor silently shrieks. The atmospherics are eerie, but predictable. Rusty iron prison bars, chipped and stained cell walls, creaks and squeaks, and the obligatory blinking and bare light bulbs, all try to convey a sense of menace and dread. Of course, and if you’ve already bought into this story line, then you’ll also have no problem believing that, when the new jail catches fire, there’s no place to house the six inmates held there than (you guessed it) on the second floor of the old jailhouse. And, just for eye candy sake, the motley crew of cons also, and inexplicably, includes a young woman. And her orange jumpsuit is nipped and tucked in all the right places. Soon the real fun begins, with ghosts, shadows and dead people channelling. The Deputy is in for some surprises. Too bad that the audience isn’t. The Jailhouse is now playing in select theaters in 10 U.S. states.